Amanda is a fully qualified, university trained Audiologist, having studied at the University of Melbourne between 1989 and 1992. 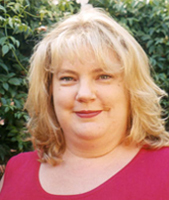 Before commencing her own practice in Bulleen 2003, Amanda worked for the Australian Government Hearing Services Program and for Taralye an Early Intervention Program for the hearing impaired. Amanda specialises in diagnostic hearing assessments, hearing aid fitting and rehabilitation. Amanda conducts a home visitation service to assist those frail and/or elderly patients who cannot travel well. Amanda is workcover accredited and has extensive medico-legal assessment experience.